I'm in. You know it's not really Rosh HaShanah for me unless I #BlogElul! I don't know whether I'll manage daily posts this year, but I'm glad you're doing this, and I'll do my best to take part. Thank you for leading us again this year. Although I am rarely consistent in posting, I figure that perfect imperfection is the overarching theme, no? Her's my signal fire! 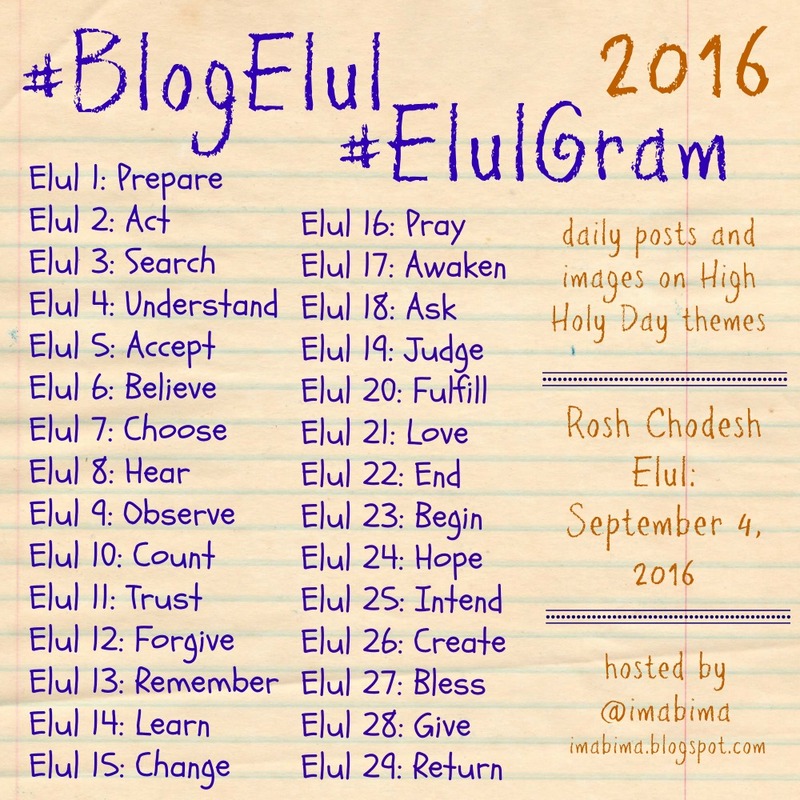 Excited to be Blogging Elul with you for the fourth year in a row! I'm in. And hopefully I can get some local folks to join me too! The best way not to be surprised by the arrival of Fall is blogging Elul with you! Thank you! Thanks for doing this once again, and thanks for providing the prompts in text form! I'm planning to participate this year, in an effort to not squander Elul. I'm in..going to try to post an FB daily! I'm in - can't promise every day, but it sounds like exactly what I was looking for to have focus this month! I am so delighted to find you (directed from Reform Judaism online). I wanted a new way of thinking about my re dedication this year and what a surprise to find just the thing. I'm not sure how to post and I know I don't need to or can in FB, but is there a way to do it here and read the posts of others? OK OK. Maybe my first purpose will be to read the directions before I set off. Thank you thank you.